We work together as One Team in an Agile environment and we all drive a culture of change, inspiring and motivating each other to continuously improve current ways of working. We need an Android Application Developer to join our App Project Team within Digital, responsible for new developments and continual improvements across the companies portfolio of Android applications. Your primary focus will be the development and delivery of the Mobile App Roadmap, working on both native and hybrid mobile app solutions and their integration with back-end services. Reporting to the UX Manager, this role is part of an already successful App Project Team, working closely with a variety of other teams across the business including IT Development and Support. You will thrive on working collaboratively to deliver high quality, high performing applications. You’ll be a strong App Developer, with a portfolio to prove it. With an increasing number of mobile visitors, you’ll be experienced in building a wide range of mobile app and web solutions. Being a good communicator and comfortable working in a fast-paced, agile environment is crucial. The ideal candidate will also have an analytical mind-set and a keen eye for detail. 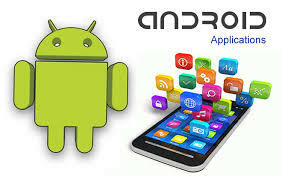 Experience of Android programming languages is highly desirable. Knowledge of programming for diverse operating systems and platforms using the latest development tools.